Activated platelet. 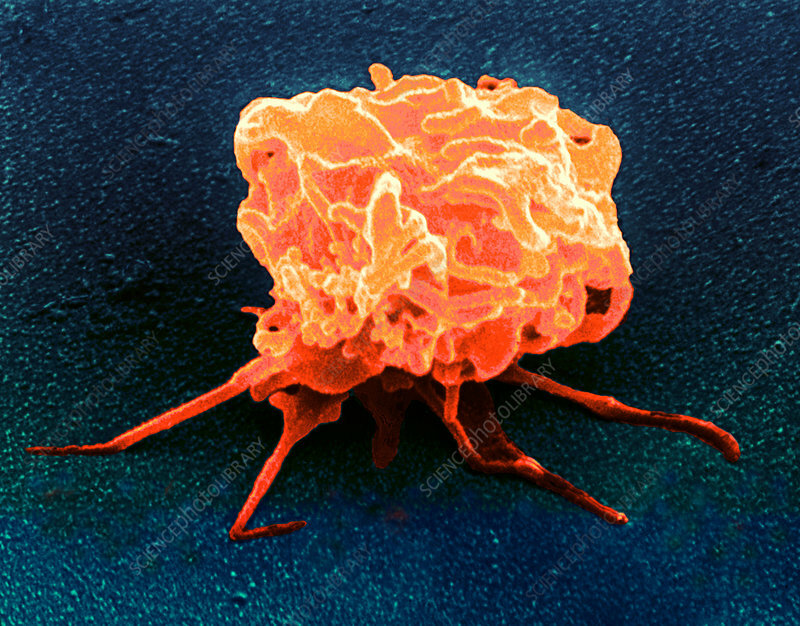 Coloured scanning electron micrograph (SEM) of an activated blood platelet. Platelet cells (thrombocytes) are formed in the bone marrow and circulate in the blood in large numbers. In an unactivated state they are round/oval, whereas this activated platelet has developed extensions from the cell wall known as pseudopodia. Platelets function in two ways: they plug defects in the walls of blood vessels, and are involved in clotting. They also release serotonin which constricts blood vessels. Magnification unknown.